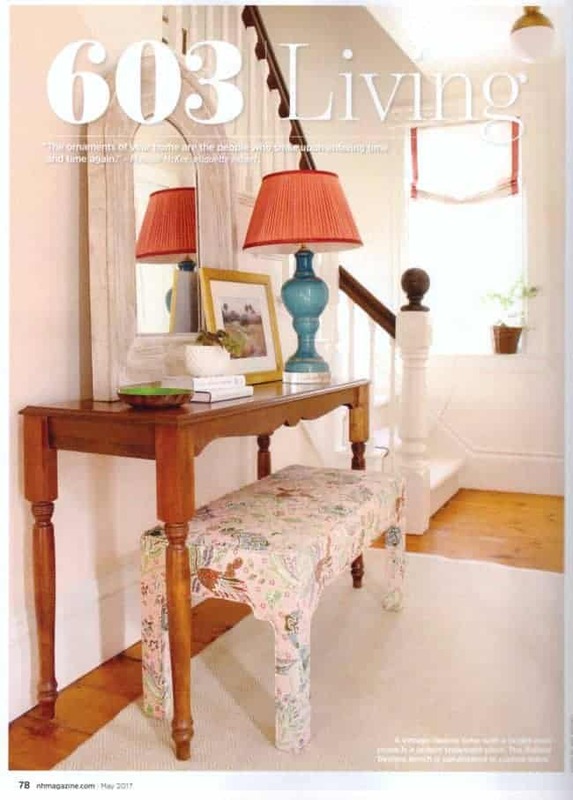 I forgot to mention it earlier, but my Artfully Fresh Foyer from the Fall 2016 One Room Challenge was featured in this past May’s issue of New Hampshire Magazine! NH Mag is a really well written publication with a huge, sometimes quirky, variety of content. And though it’s not a shelter magazine, I’m actually very excited and glad to reach people in my home state that may not have “design on the brain,” like I do, and introduce them to new ideas for their own homes. 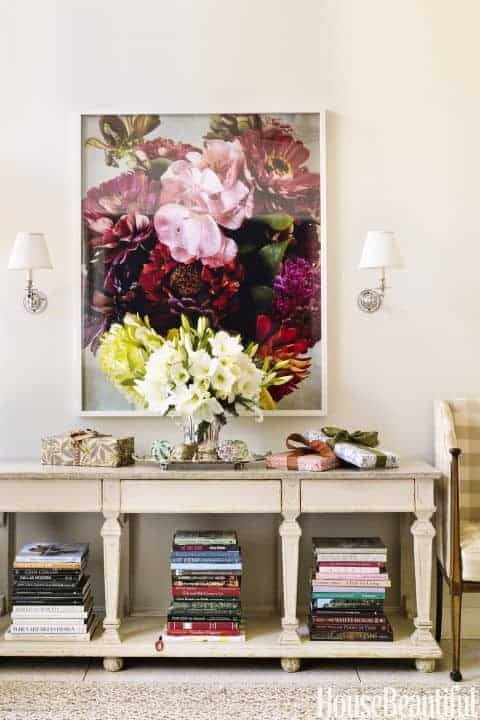 One such idea that I hope my foyer inspired was actually USING one’s home’s FRONT DOOR! Come on, be honest, when was the last time anyone came through your front door? (If you don’t live in a city row house, that is.) If you’re like my parents, at best, you open your front door once a year just to make sure that it doesn’t get permanently stuck shut. I, too, am guilty of bringing people in our side entrance. It’s not entirely my fault. They just come that way. I understand the difficulties they face, as I find myself in the same situation. 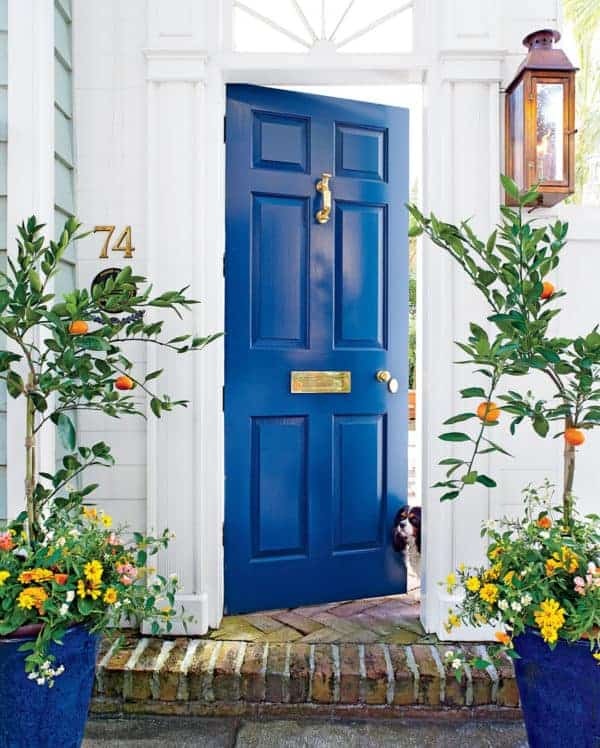 In former days, the front door and foyer set the tone and aesthetic of the entire home, but, sadly, homeowners rarely welcome guests at the front door anymore. Now, the side door — the servants’ door in previous generations — has been elevated to the status of a grand entrance. (Never mind that we’re always apologizing for the state of the mudroom, the kids’ gear, the shopping bags, etc.) The front door has become simply an outdoor decoration and the foyer behind it a neglected no-man’s-land between the living spaces below and the bedrooms above. 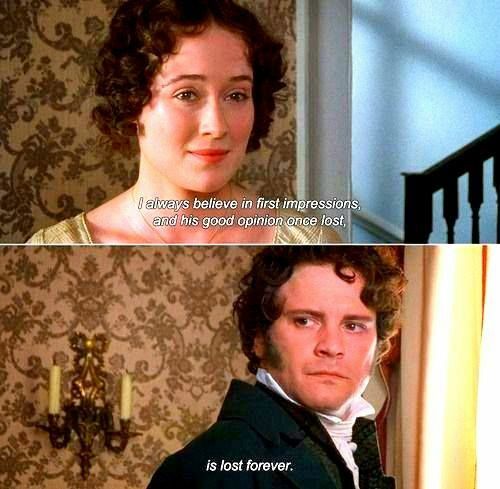 Do we no longer care about first impressions? Or do we just feel unworthy of a making an entrance? The foyer needn’t be grand to feel gracious! Now that we actually have a pretty foyer in our own home, we’re trying to update the rest of our front door so that people will actually approach it rather than our mud entry. Unfortunately, due to the difficulties charms of living in a *really* old house, updating anything opens a whole new can of worms. For example, the door knocker that was here when we bought the house is rusted shut. I wanted to buy a nice door knocker for my Handsome Husband for our most recent anniversary. (Yes, it’s a house-y gift and therefore my interest, but it’s also hardware! Men naturally love hardware, right?) Our house is named Maple Rest, and I found this beautiful brass Maple Leaf Door Knocker by Massachusetts artist Colby Smith. Well, notwithstanding the lack of a functioning knocker right now, better outdoor lighting (more on that in another post) recently enticed new acquaintances into actually walking up to our front door when they came over for dinner. They immediately took off their shoes, hung up their coats on the rack and dropped their wallets and keys on the table on our redone foyer. Then they commented on what a beautiful home we had. I felt so happy that our friends saw our house as I wanted them to see it – lovely, charming, welcoming. Hopefully, that first impression lasted when I next brought them into the disaster that is my kitchen for a whiskey cup of coffee. Because even though many of us still have a servants’ entrance, the servants themselves are lacking. How AMAZING would #9 look on a green door? Any favorites? Do you use your front door?